Around the same time last year (February 9, 2010) I wrote a blog about how we might measure skiing. I offered a variety of tools from keeping track of actual mileage on skis (seemingly hard to do!) to counting the number of days, and my conclusions called for using what’s called in ski-jargon, “vertical drop,” the measure of a ski hill height times the number of descent. So the more “vertical” is tallied, the more skiing has been accomplished. This wasn’t a perfect solution; it didn’t take into consideration the number of miles covered nor the time it took. Another important variable not accounted for was the quality of the grooming – or its absence – as well as the type and quality of snow. My “vertical” yardstick wasn’t perfect but if we were to accept it, how can we keep track of it? 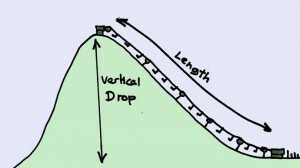 The subject has intrigued me for a long time and ever since, I’ve always relied upon remembering how much vertical rise was associated with each Deer Valley lift, then made a point to count how many daily rides I made on each lift I used. That way, my ski day over, I could easily enter these numbers, using a spreadsheet and finding out my “vertical skiing.” Perhaps a few other die-hard might go through this exercise, but the vast majority of Deer Valley skiers won’t see that daily accounting as their favorite après-ski activity! Being the old geek that I am, I had thought of easing this chore by purchasing a wrist computer. The first that came on the market in the eighties was the Avocet Vertech, which took the rugged look of a sport-watch. The system was based on the altimeter that showed a barometric pressure and an altitude reading. The reading would change whenever there was a variation in elevation, or in the weather, and needed to be constantly adjusted, generally by matching the altitude to a known elevation. In addition to recording daily descent and number of runs, the Avocet also displayed elevation, temperature and time. One main drawback of that model was that it had to be sent to the factory for periodic battery change. A decade later, Suunto, a Finnish manufacturer of liquid-filled compass, jumped in the all-in-one watch design by offering the Vector, also combining altimeter, barometer, and compass. Compared to its predecessor, the product was found to be more reliable, had user-replaceable batteries and was somewhat more stylish, so I picked it as my wrist-computer. It would become my trademark wristwatch. 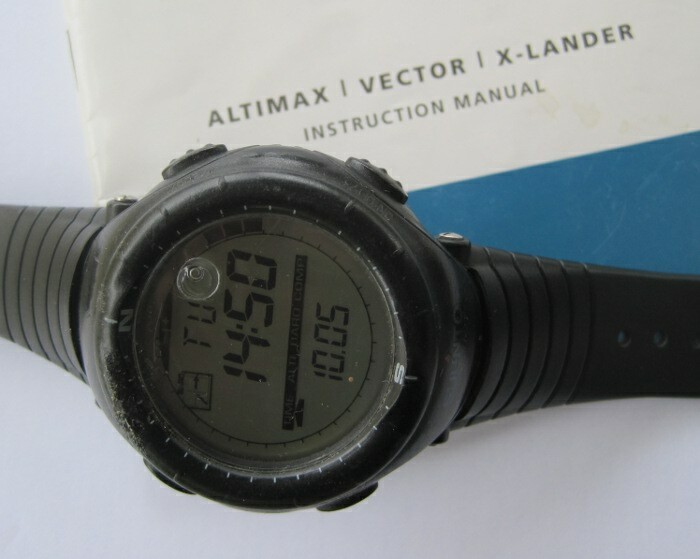 It proved to be quite sturdy albeit a bit larger than a normal watch; it displayed altitude, temperature and time, but most importantly was supposed to record my total daily ski descent. The biggest downside of that watch was the complexity of its controls. Not only was the manual required reading, but you needed it anytime you wanted to use a specific function of the watch.